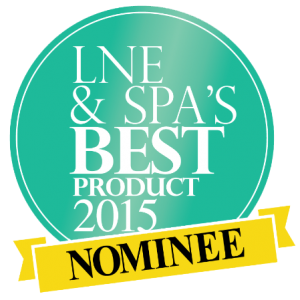 Amplifies the natural repair cycle while helping prevent the formation of new lines and reducing puffiness. – Vitamin A strengthens support tissue, aids in growth and repair of the epidermis, stimulates fibroblast cells to produce collagen and thicken the skin, improving firmness and elasticity. – Works to decrease fluid build-up and de-puff. Hesperidin methyl chalcone is a bioflavonoid that helps to decrease capillary permeability thus reducing fluid deposition and puffiness. Dipeptide Valyl-Tryptophane improves lymphatic circulation to promote drainage of under-eye fluid. Lipopeptide Pal-GQPR improves firmness and elasticity. Two peptides work in conjunction to activate genes involved in renewing and repairing the extracellular matrix and in cell proliferation. This process ultimately provides a visible reduction in wrinkle depth. A family of vitamins ultimately converted to Retinoic acid in the skin. They act as free radical scavengers, protect against UV damage, and assist in DNA repair following UV exposure. They also recruit moisture to the skin and promote collagen production. Retinoic acid may also play a role in keratinocyte differentiation and proliferation. An enzyme that can protect Vitamin A from oxidation thus preserving maximum effects. 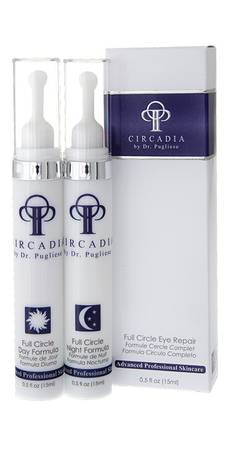 In the evening after cleansing and applying Vitamin C Reversal Serum, gently pat Night formula around the eye area.